It was a very hard winter in Vermont. 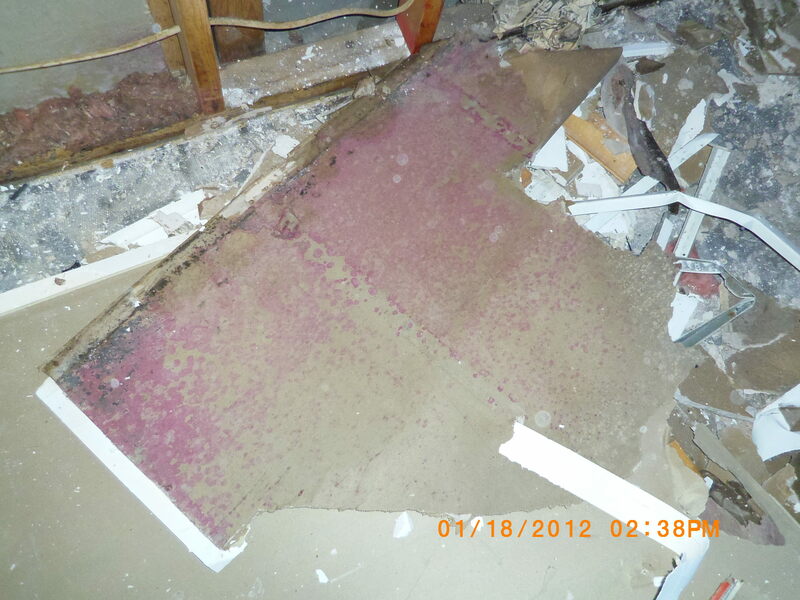 We had record amounts of water damaged homes. This spring, the jobs kept coming in as well. 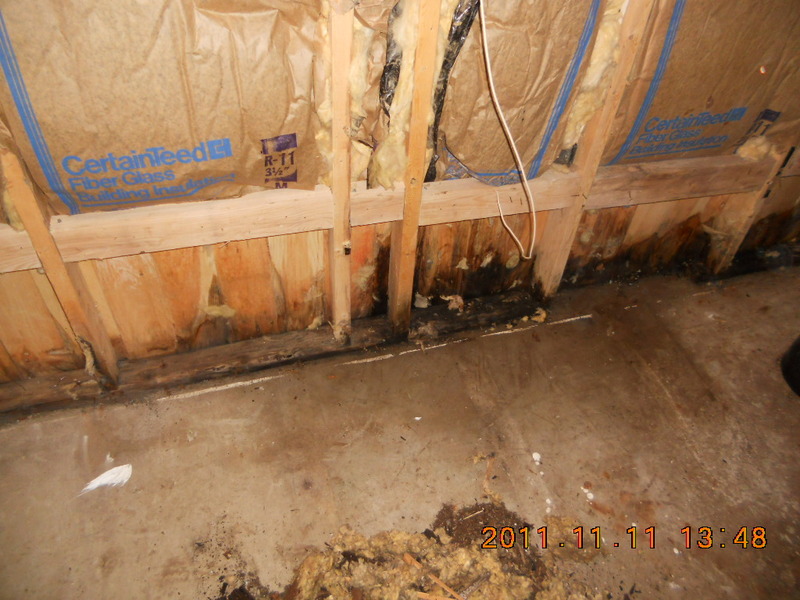 If you had a water intrusion or you still have an active problem , you need to address the cause. 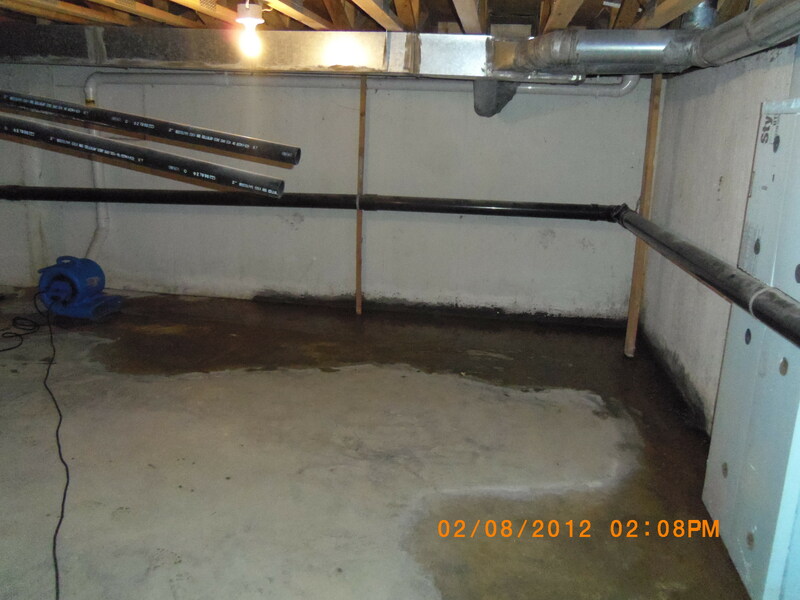 Lots of ground water found its way into finished basements this spring. 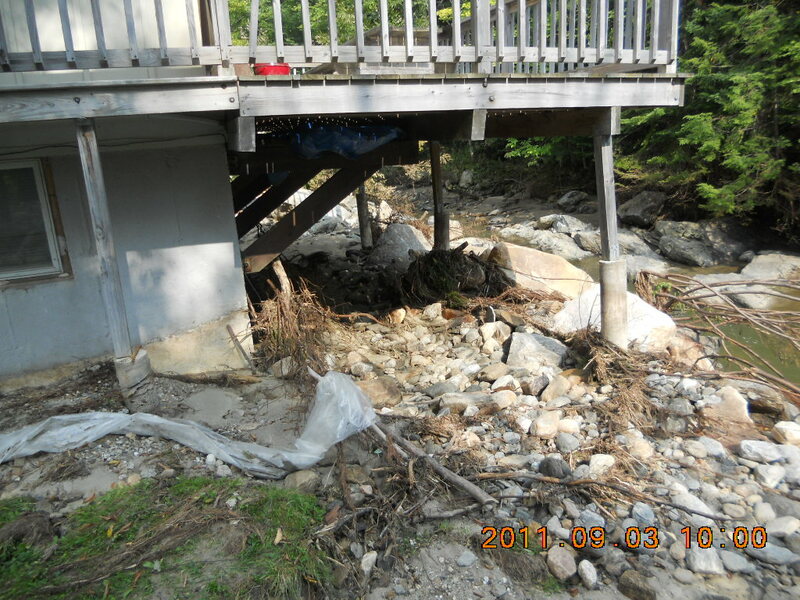 Some people need gutters to shed water away from their homes while others need excavation work and drainage. 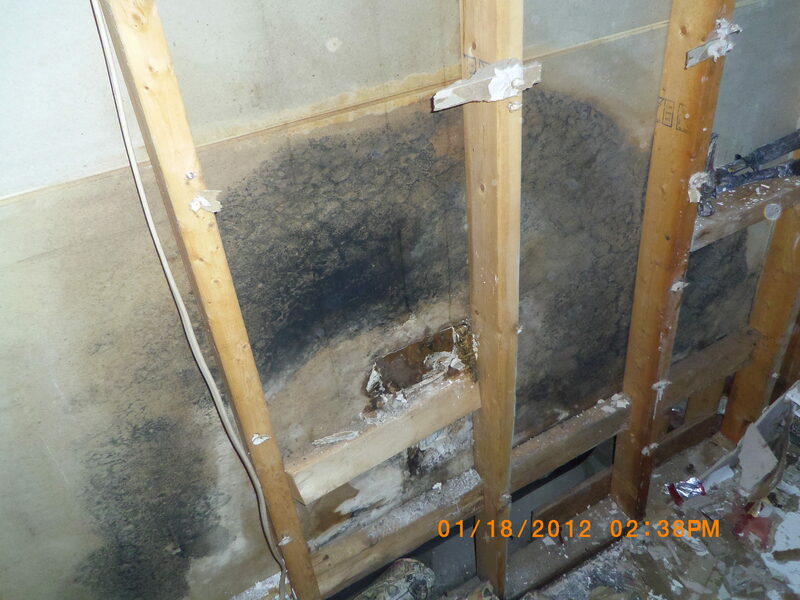 We are dealing with a fair amount of mold issues now that the weather is warming up. 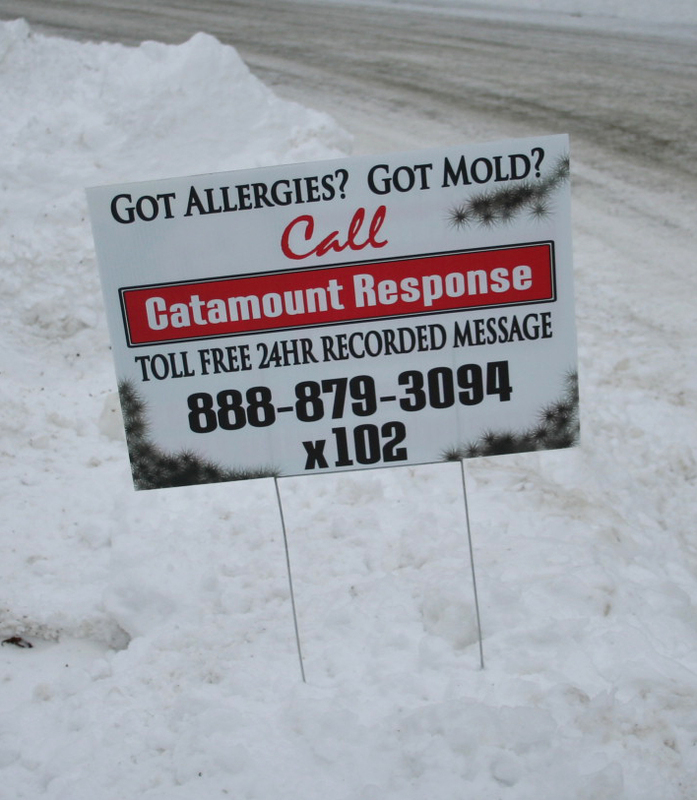 If you need an inspection for Humidity , water or mold problem call us in Southern Vermont. Contact us at http://www.catamountcarpet.com . 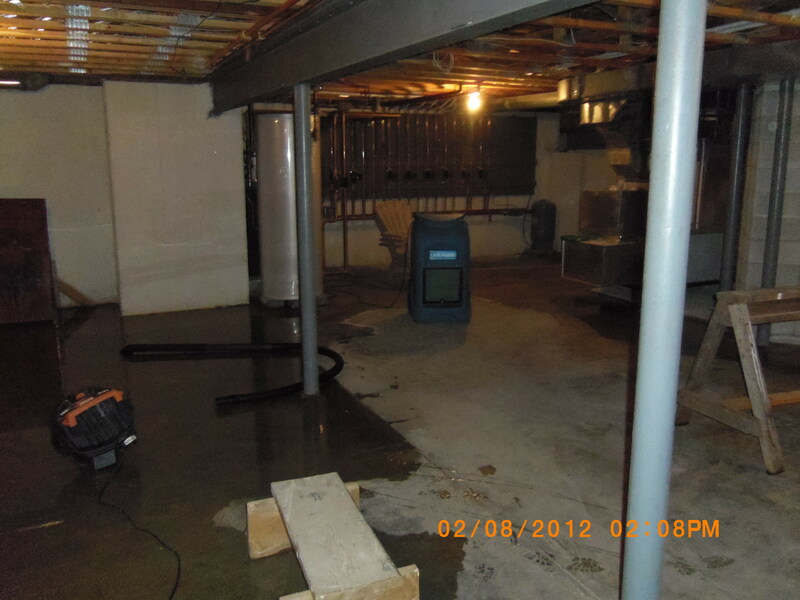 We sell and set up dehumidifiers to keep the relative humidity in a safe range in your home, basement or crawl space. 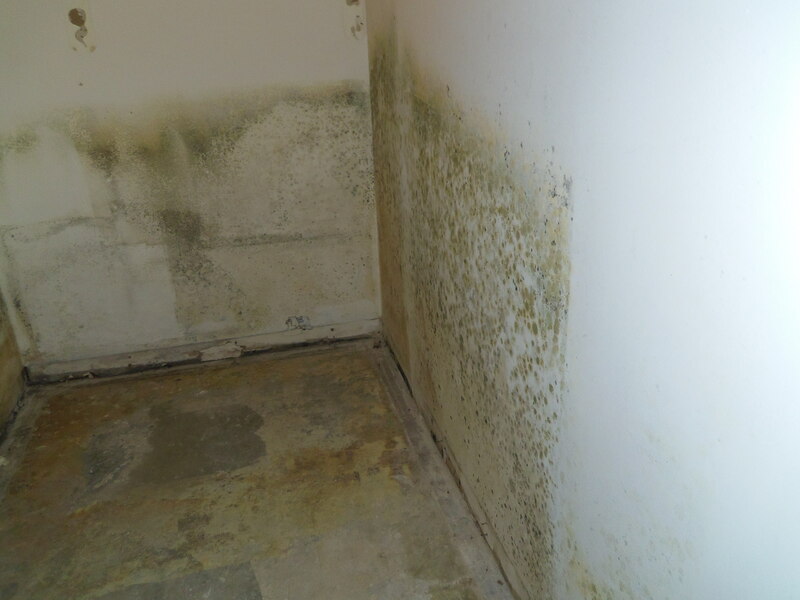 There is a refundable fee for any report on mold. 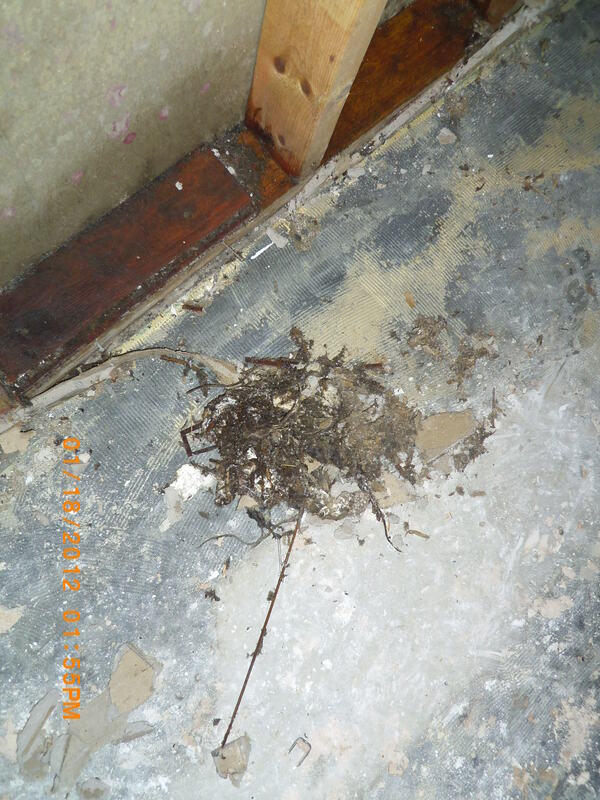 Check out some of the photos and I hope you never have these problems. Have a wonderful summer, and by the way, it’s time to clean all your carpet. 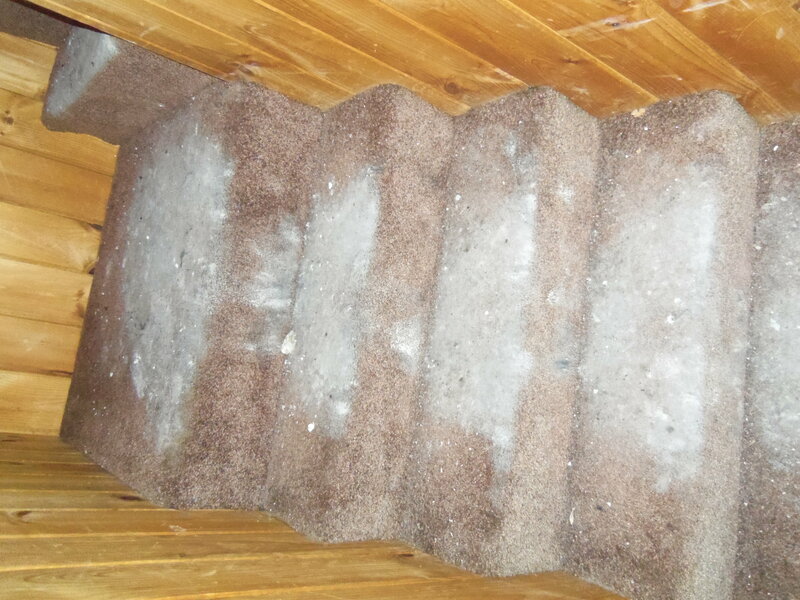 After all, the carpet is the filter for your home and the filter needs cleaning. 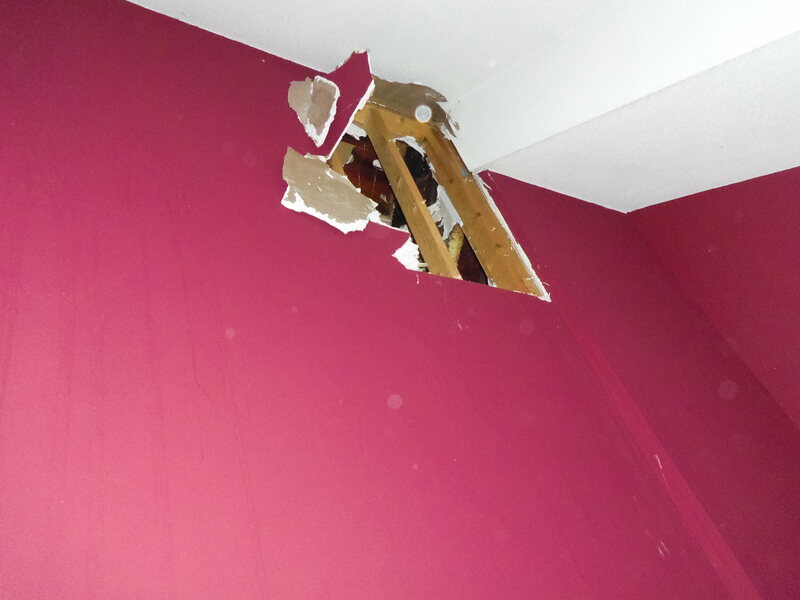 As the weather starts to warm , the pipes start to burst. 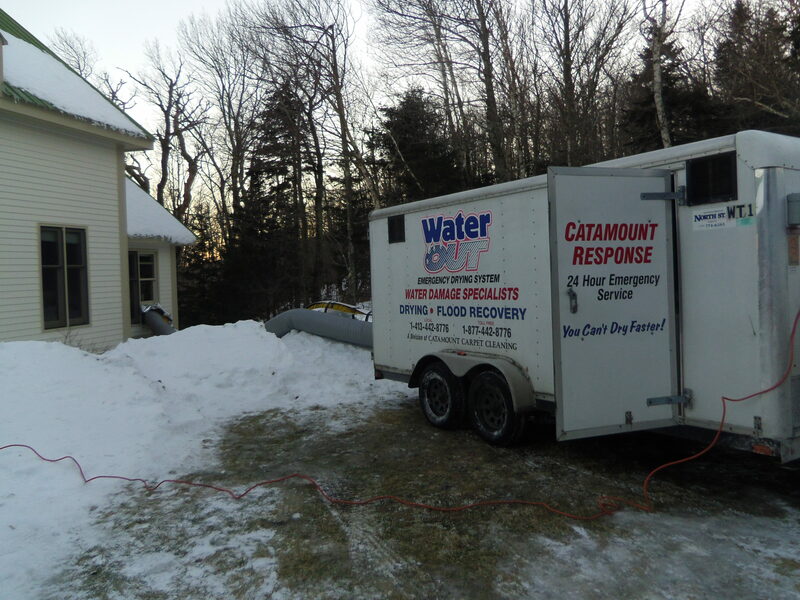 Sending thousands of gallons of water into your home. 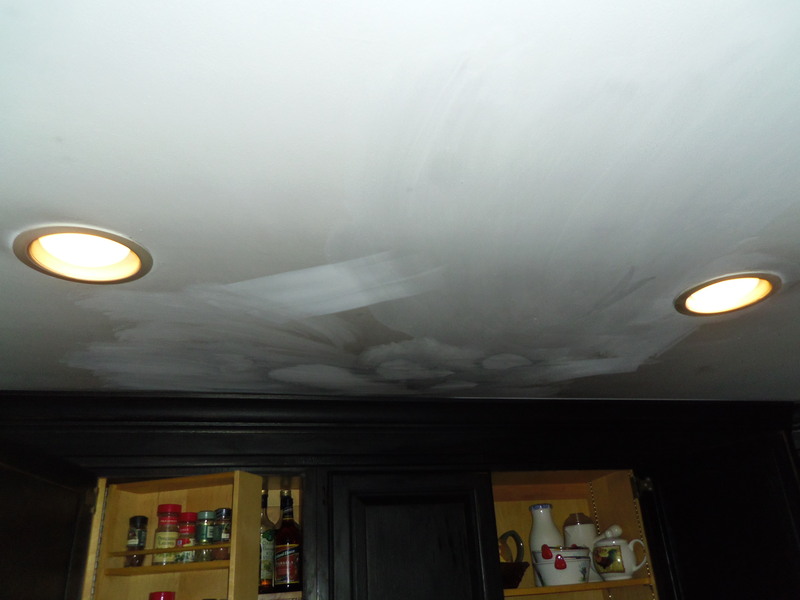 Call a professional restoration company to dry out your home. 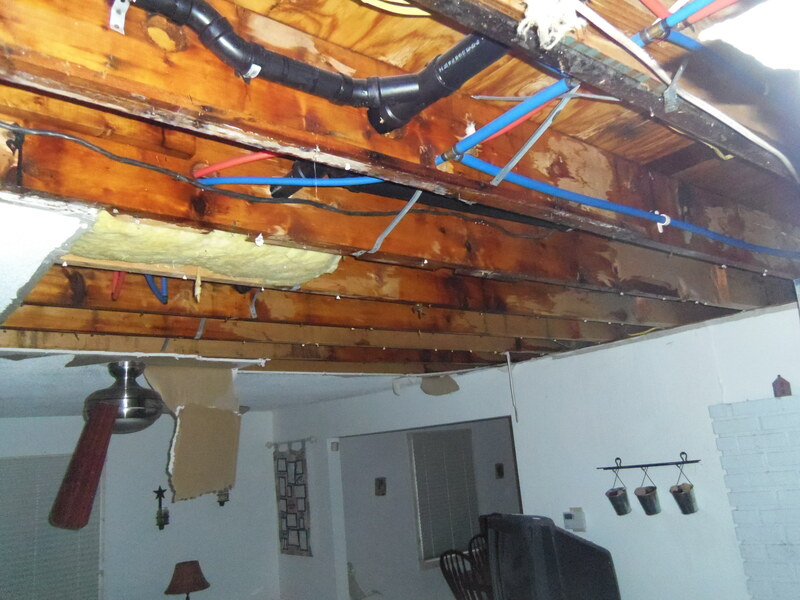 Do not wait for the insurance adjuster to examine your loss. They are very busy and it may be days before they get there. Start the remediation immediately. 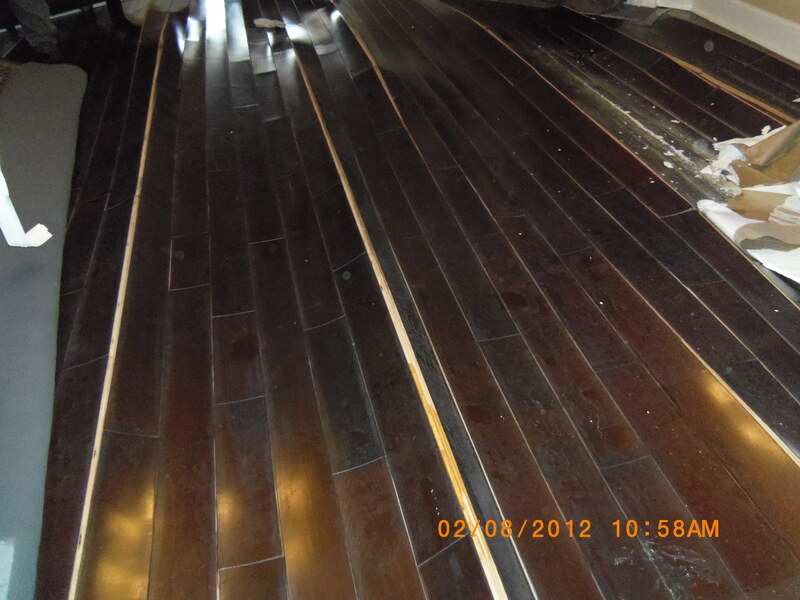 We are slammed with water damage at the present time. This is a real concern. 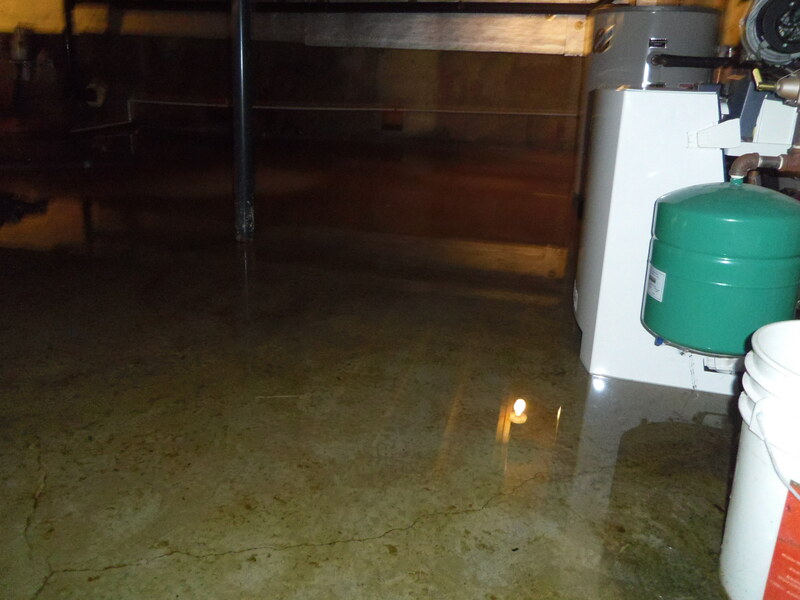 Keep your heat at 55 degrees minimum and shut off your water pump. These two things will save you a lot of worry and damage. Have a warm and dry winter. So long for now. I hope this has been helpful. 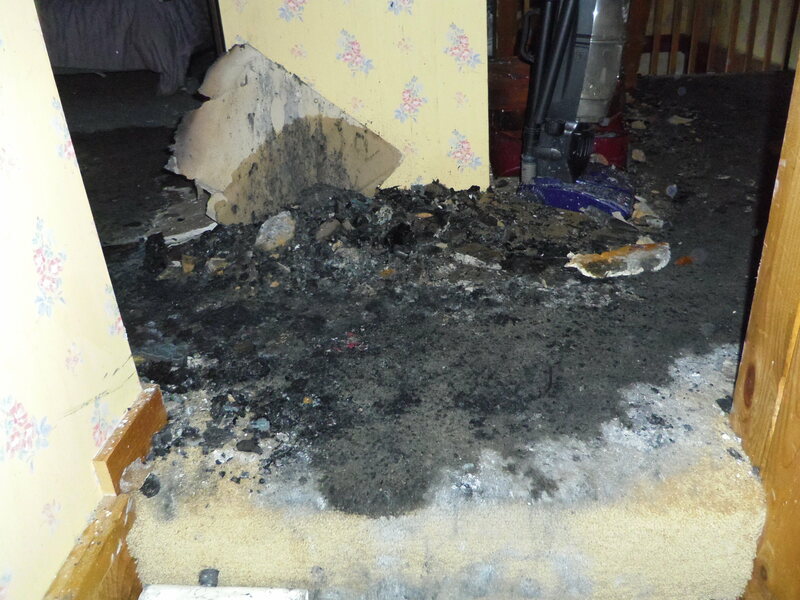 Hello everyone, I want to share a story about a chimney fire that happened about 26 years ago. My former partner, Tony, lived in the country. Tony had ripped his pants one morning and was driving home to change. 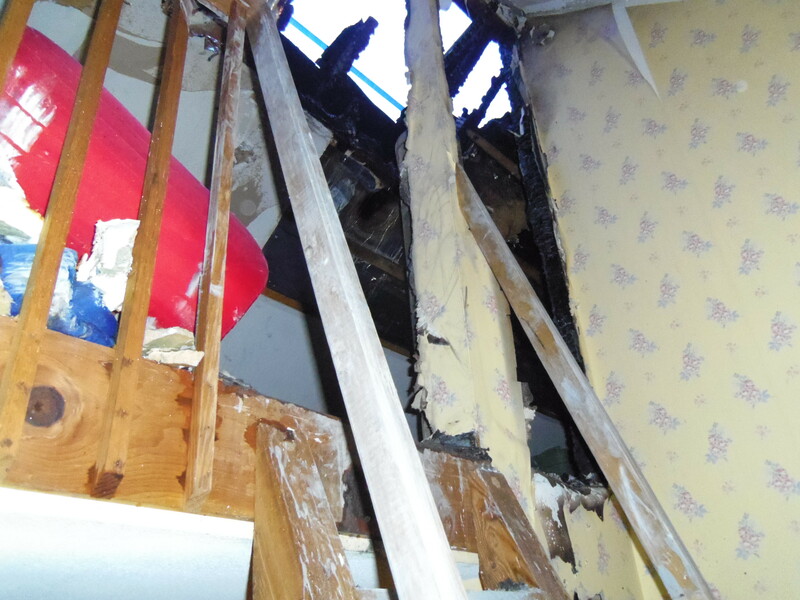 When he turned the corner , he saw smoke pouring from the windows in the house. Tony realized his roommate was still sleeping in the house. Tony rushed in and yelled for his roommate. His friend was sleeping on the floor by the woodstove where the air was still clear. That was one of the things that saved him from harm. When he woke he immediately dove through a window to safety. 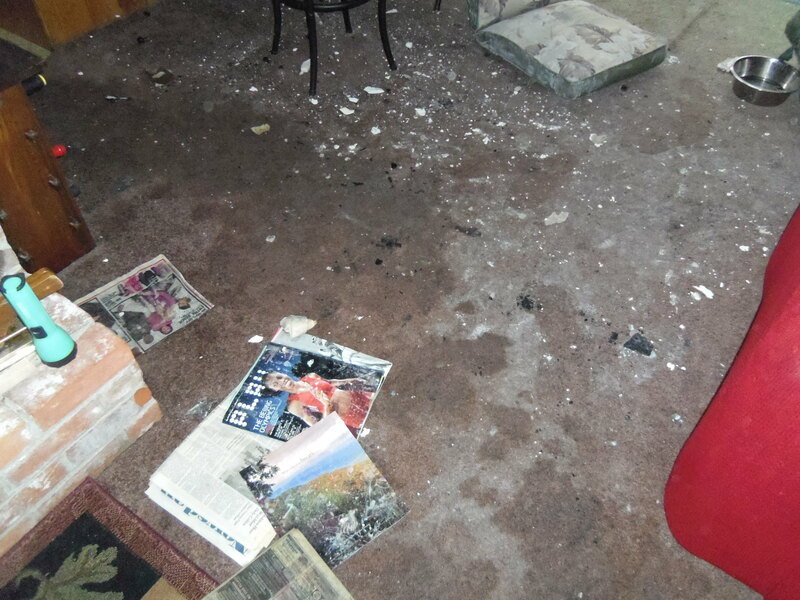 Tony turned around to leave and he could not find the door because the smoke was so thick. Just when he thought all was lost, he found the door handle and fumbled out into the fresh air. These two guys were very lucky. The pictures posted here are from a chimney fire I just came from. 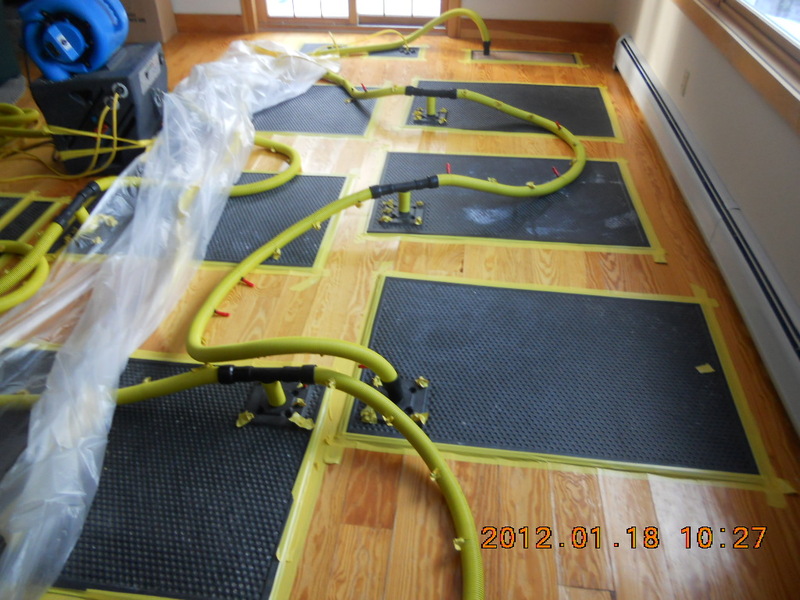 I have seen a lot of crazy things in the past 26 years of owning a restoration company. I have seen teen agers throw a cup of gasoline on a smoldering wood stove to get it going. 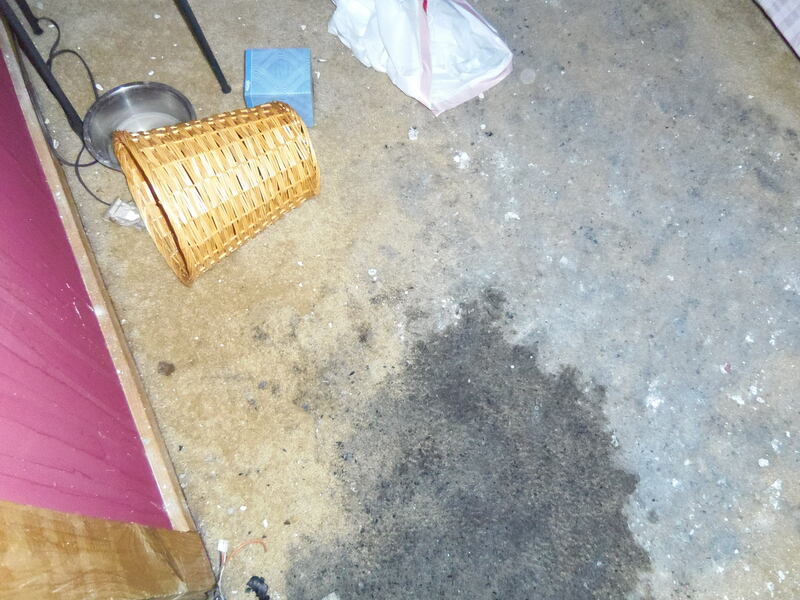 I have witnesses several times the aftermath of someone cleaning out hot embers from a woodstove or fireplace and putting them in a bag or plastic container and setting them on the porch or better still , leaving them in the kitchen and then going out shopping for a couple of hours. 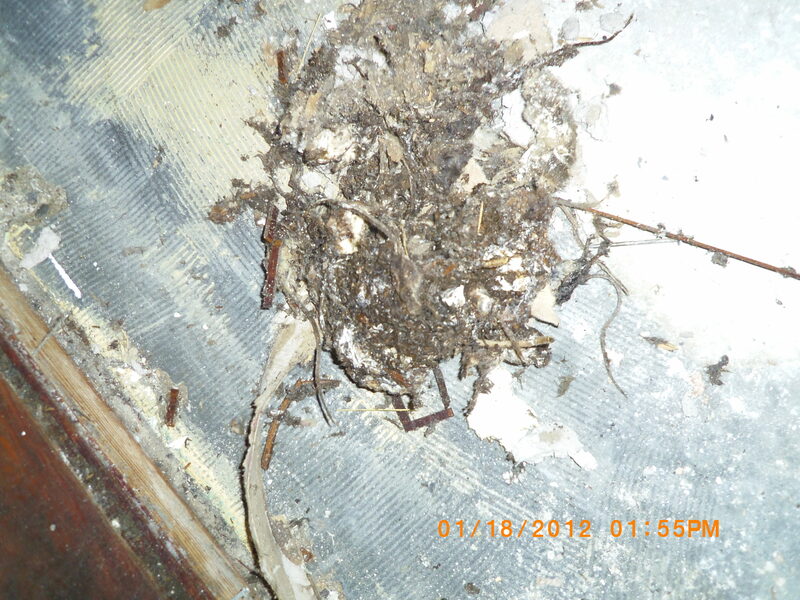 Please clean and have your chimney flus inspected yearly. 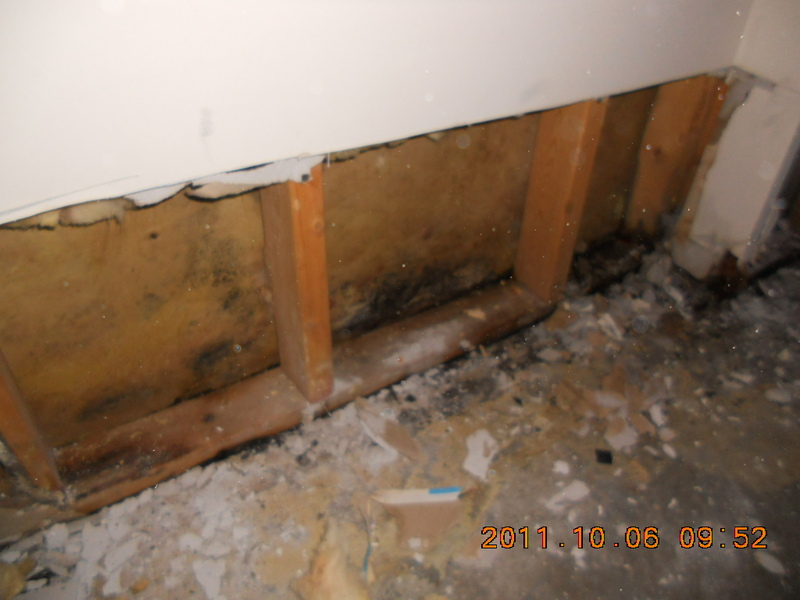 Especially if you have rental property with a fireplace or stove. Have a safe and happy winter. 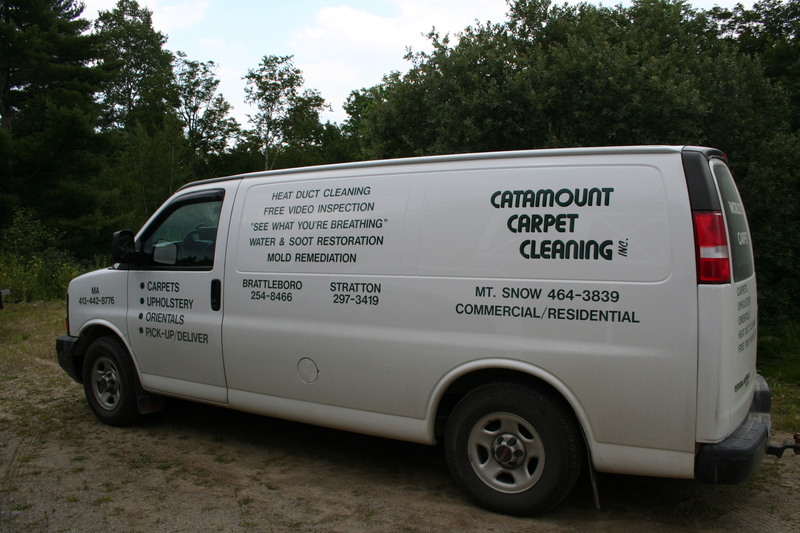 The story of Catamount Carpet Cleaning Inc.
Don Jones who was a trained professional chef by trade had a dream to have his own business. He approached a friend that had his own pizzeria and pitched him an idea. His name was Tony Minichiello but everyone called him Tony Canoli. 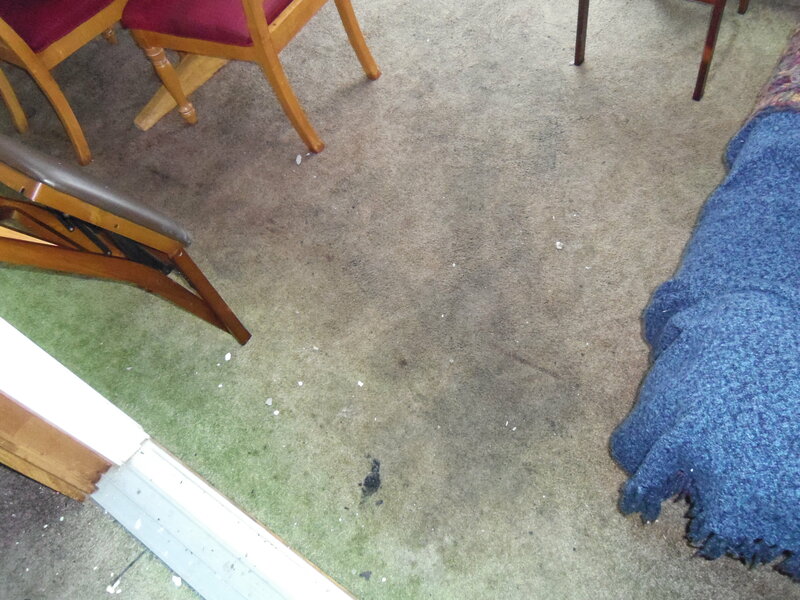 After doing some market research and talking to a number of business owners, Don and Tony decided that they would start up a carpet and upholstery cleaning business. Tony put together a pro-former for the local bank that they both had used for several years. After all , they were only looking to borrow $8800.00. They both had good credit, so hard could it be. They were about to find out. The bank sent a lady from another town to check out the application. 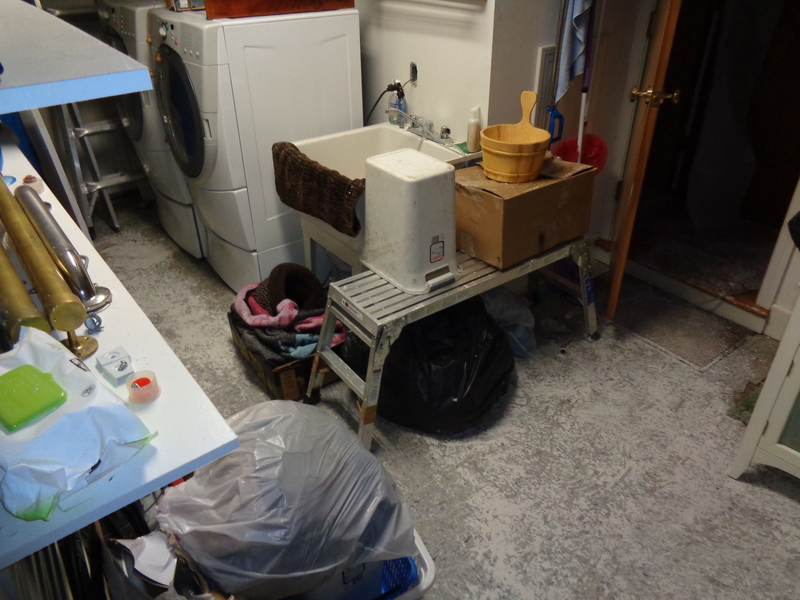 She determined that there was not enough business in their town to warrant a carpet cleaning business, so she denied the loan. Don and Tony were focused now more than ever to make this a reality. 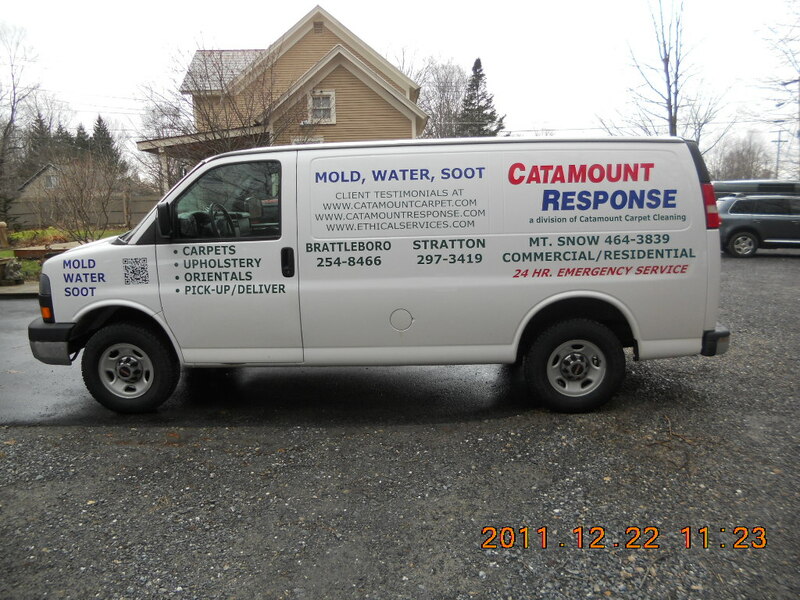 They had signed agreements from at least six property managers in town testifying that they would use the services of Catamount Carpet Cleaning. With these in hand, the two went to visit another banker in a town 21 miles away. He was recommended by one of the business owners. The banker liked Don and Tony and gave them the loan. 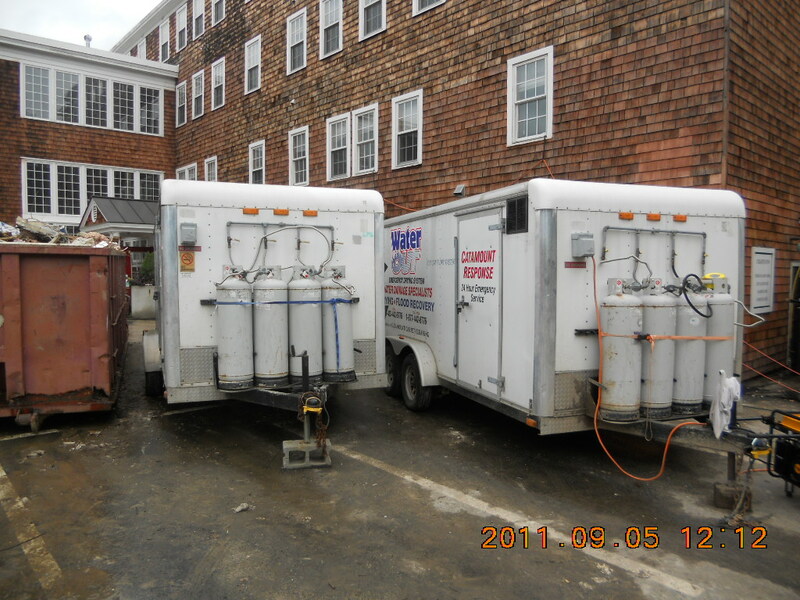 So with a loan of $8800.00 and a signature on a new van , they began working in earnest on April 1st 1987. They had planned on doing about $70,000 the first year. In fact they generated $ 224,000. 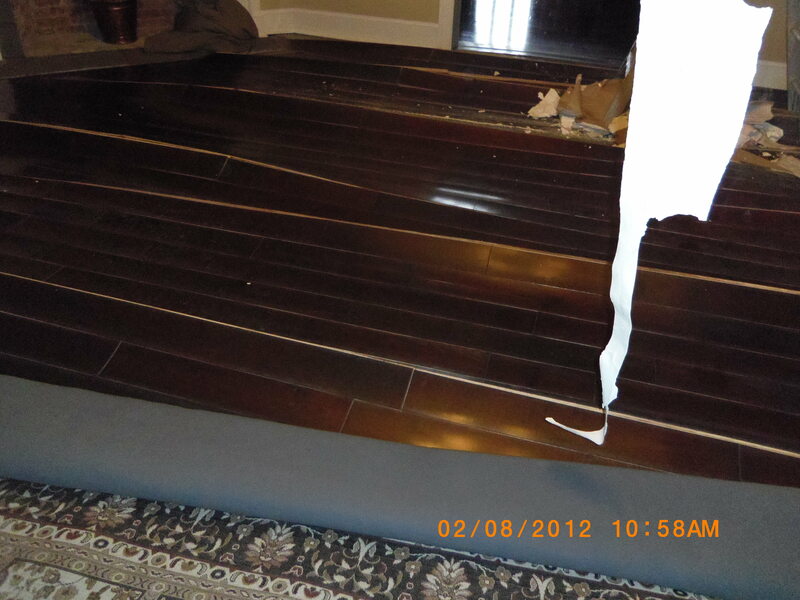 In six months they paid back the original loan. They borrowed another $30,000 and paid that back within the first year. They never could have accomplished what they did if they had listened to the naysayers. In 1995 Don bought out Tony and Tony went on to seek his fortune in Michigan. 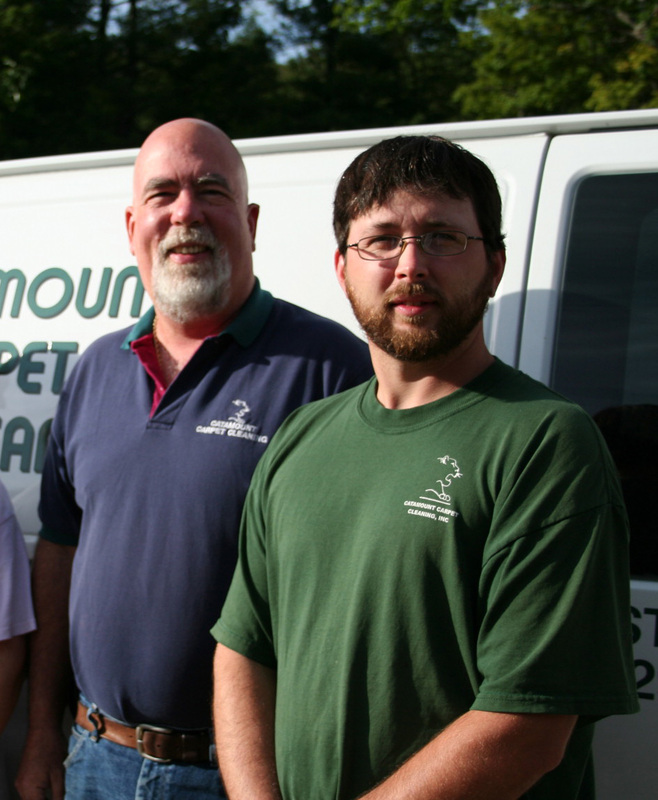 Catamount Carpet Cleaning continues to thrive 26 years later. 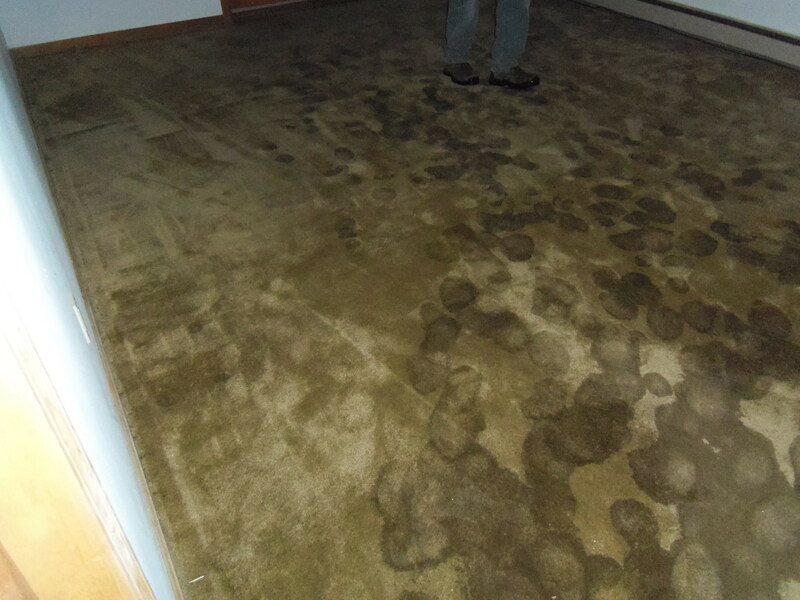 They are a full service carpet cleaning company as well as water,soot,and mold restoration. 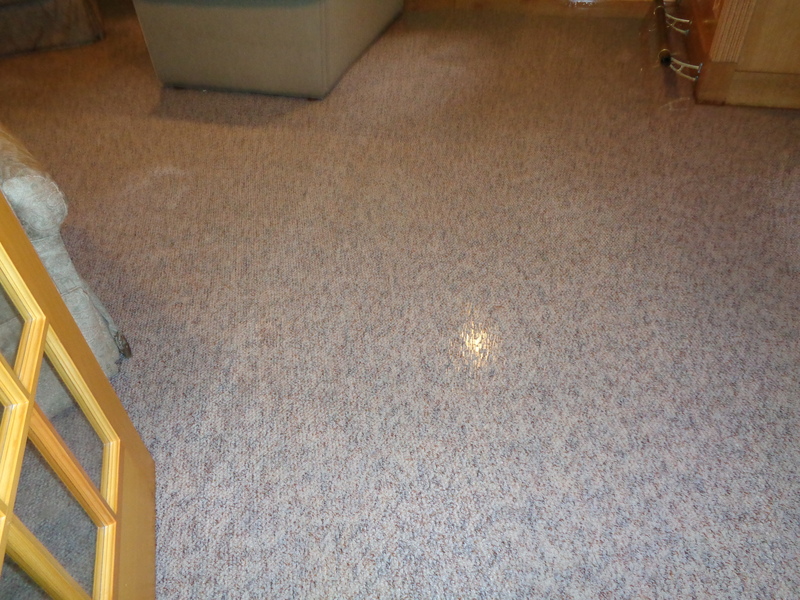 They also do duct cleaning,sand less floor refinishing and tile and grout cleaning. Don attributes the success of Catamount to timing,tenacity,professional education and the support of his wife an family. 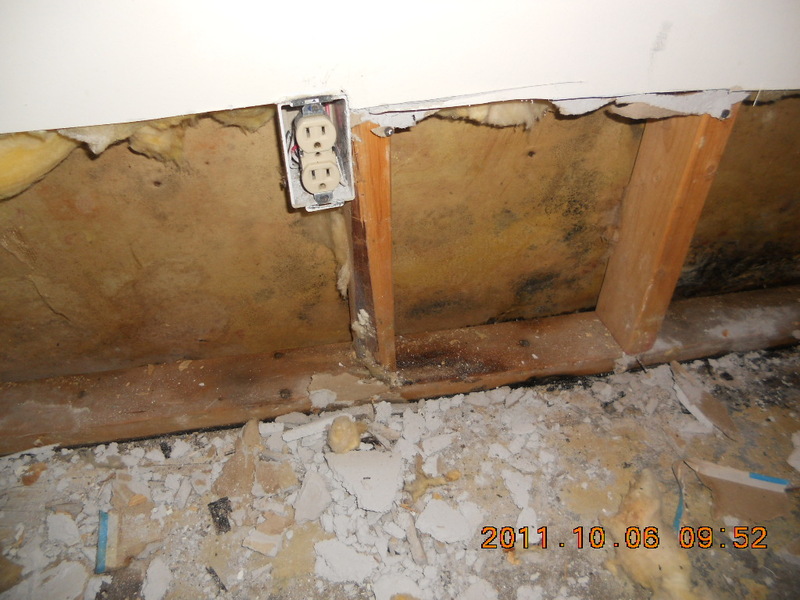 Hello everyone, This winter has been crazy with water damage and mold remediation. 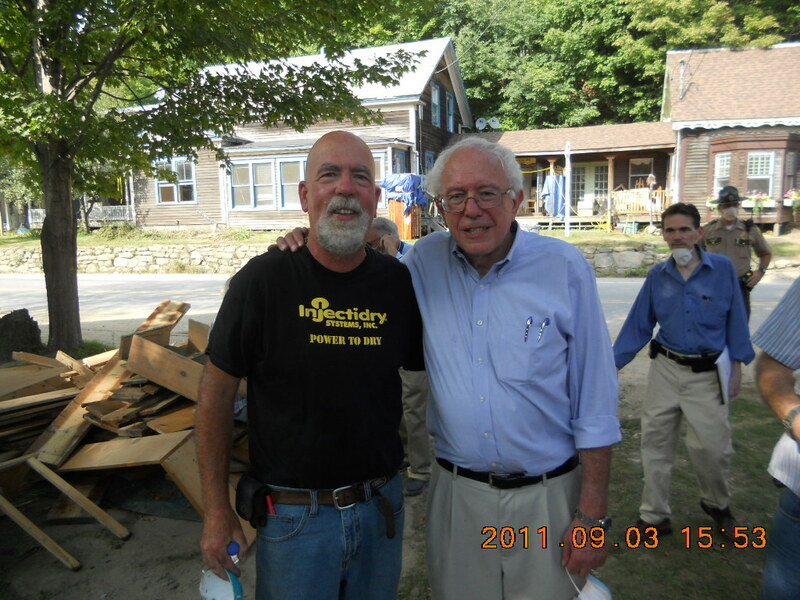 This job is in a mansion located on top of a mountain in Vermont. We were called in several years ago for the same problem. 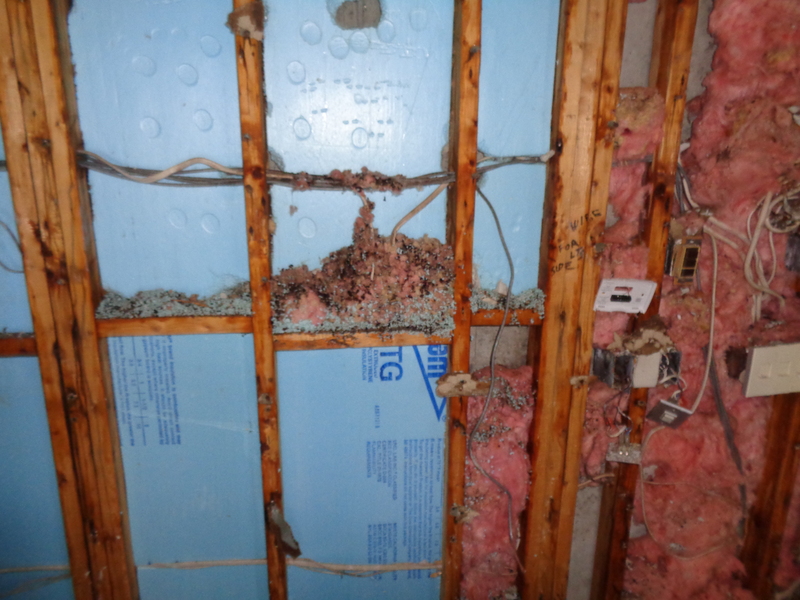 There is a missing bit of insulation in the outside wall that lets in a small stream of frigid air. 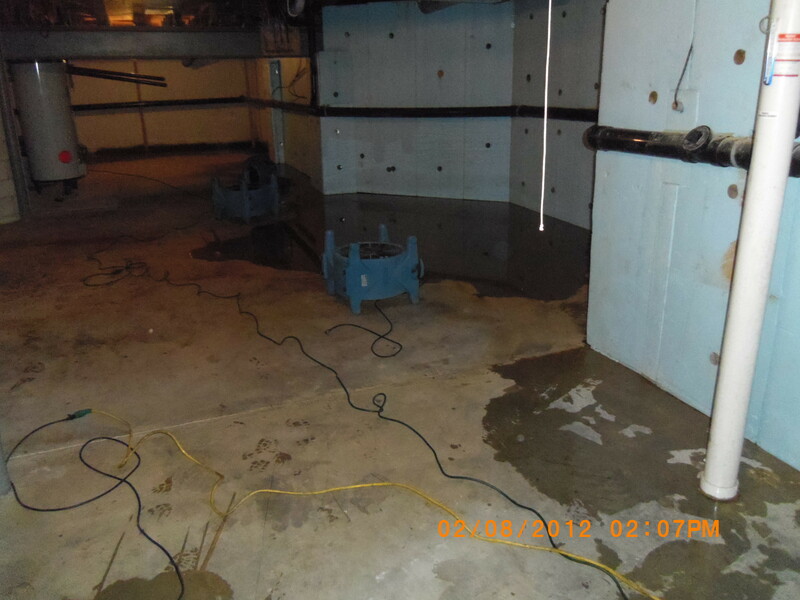 The water lines are located over the dining room. Unfortunately, the owners left the water pump on and when it froze and thawed it ran the well dry and burned out the pump. 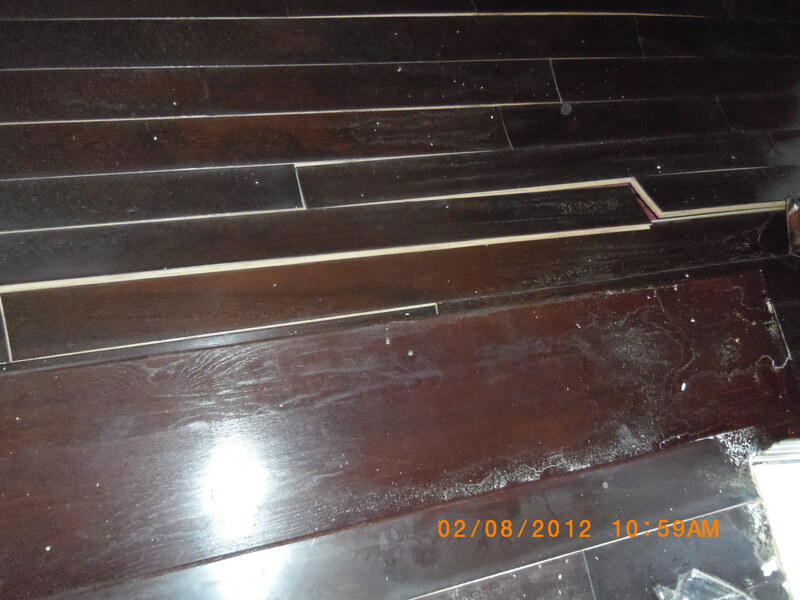 the flooring is a specialty hardwood and very expensive to replace. To compound the job the driveway is about a half mile long and very steep. We had a major snowstorm last night and will probably not get back to check equipment for at least 48 hours. 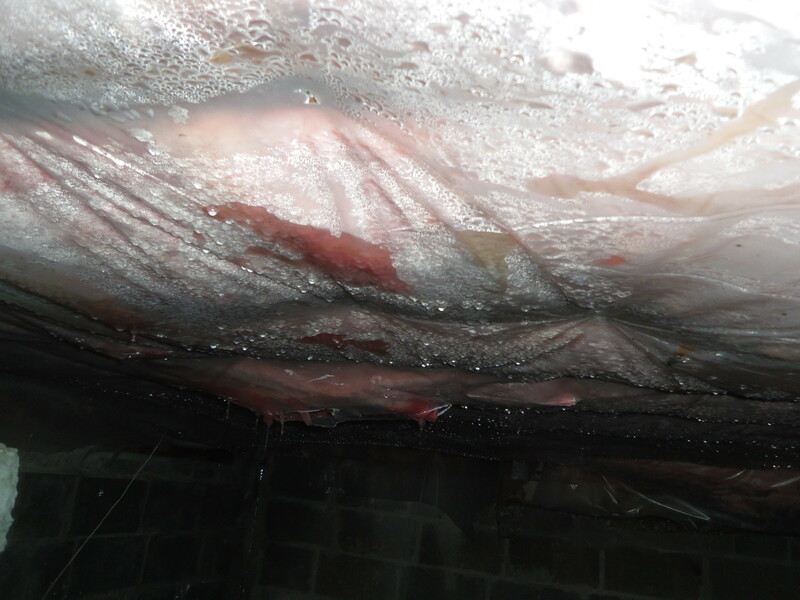 The owners have decided to use spray foam insulation this time and my guess it will take care of the issue. 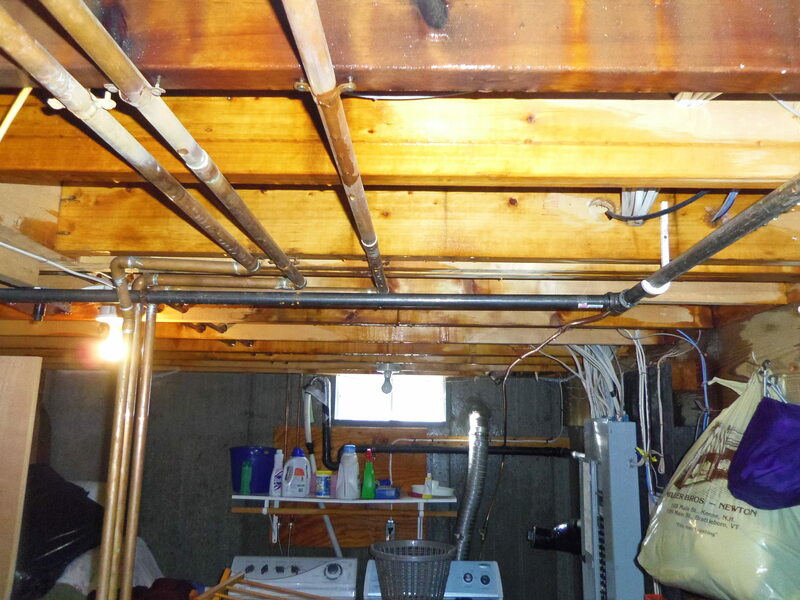 Folks, it only takes a small opening to let in enough cold air to freeze pipes. When leaving shut off the water pump and leave the heat on at least 55 degrees. 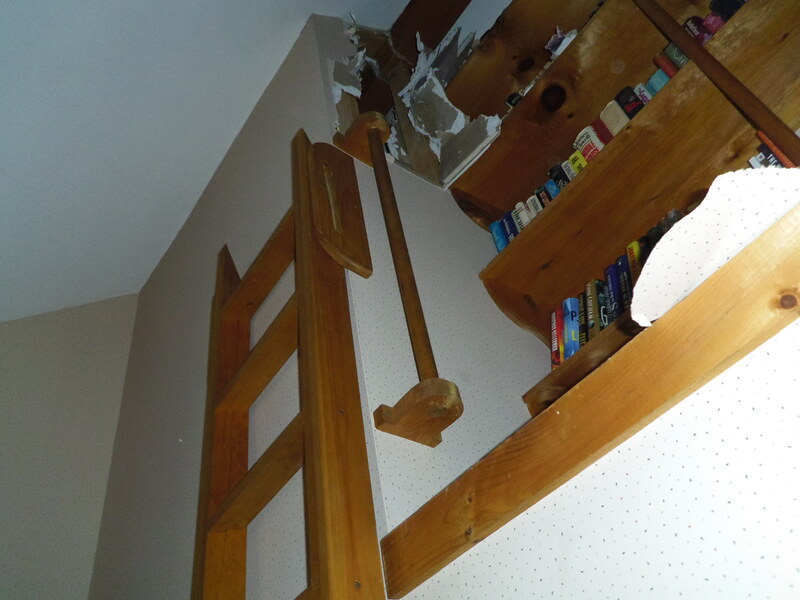 The heat was on 65 degrees in this home but the break was in the ceiling where it didn’t matter. 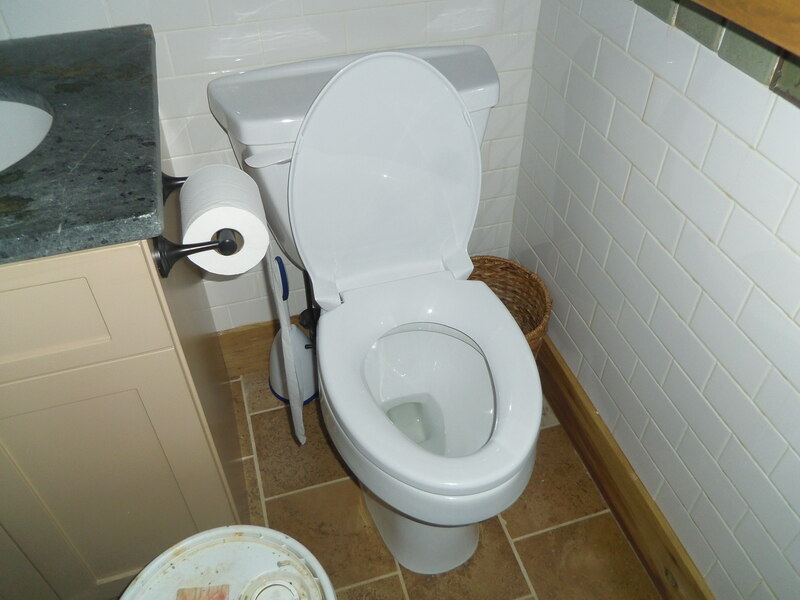 You must have someone checking your vacation home on a weekly basis. This is cheap insurance and could save you thousands of dollars in damages. That’s it for now, enjoy the rest of the winter and stay warm and dry. 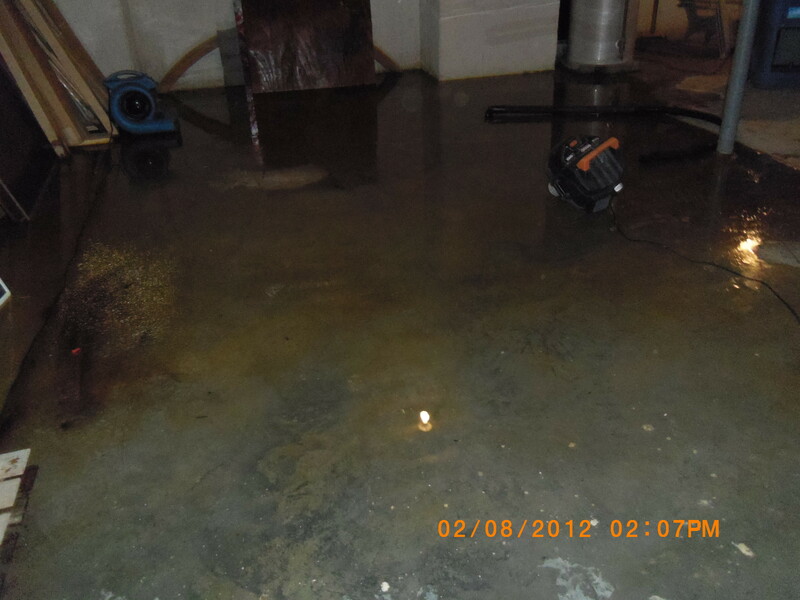 Hello all, We received a water damage call for a flooded home in the country. 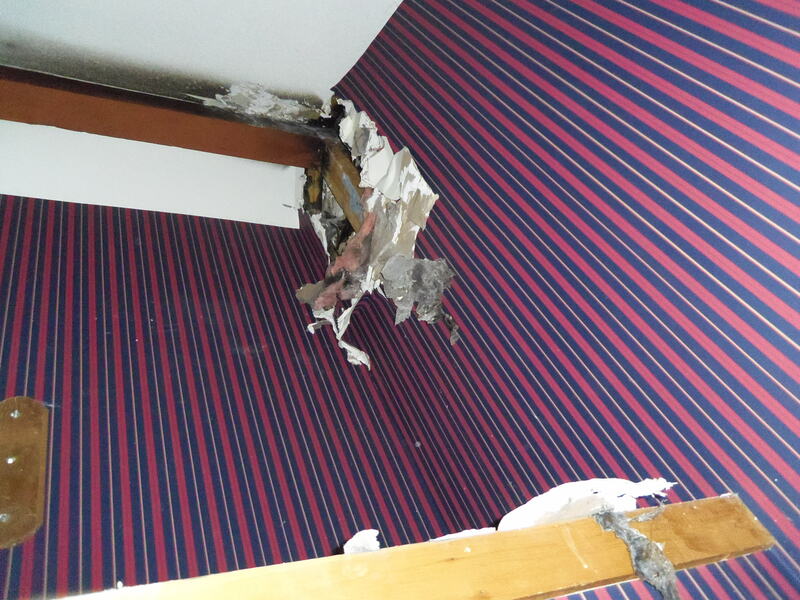 It was a broken plastic flex fitting in a water line that ran above the 5/8 drywall ceiling. 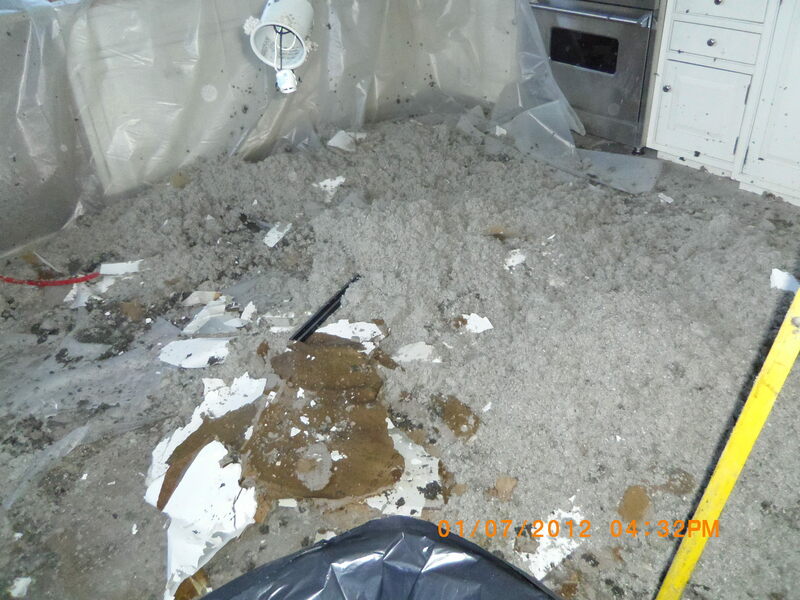 What a mess when we discovered two feet thick blown in cellulistic insulation. 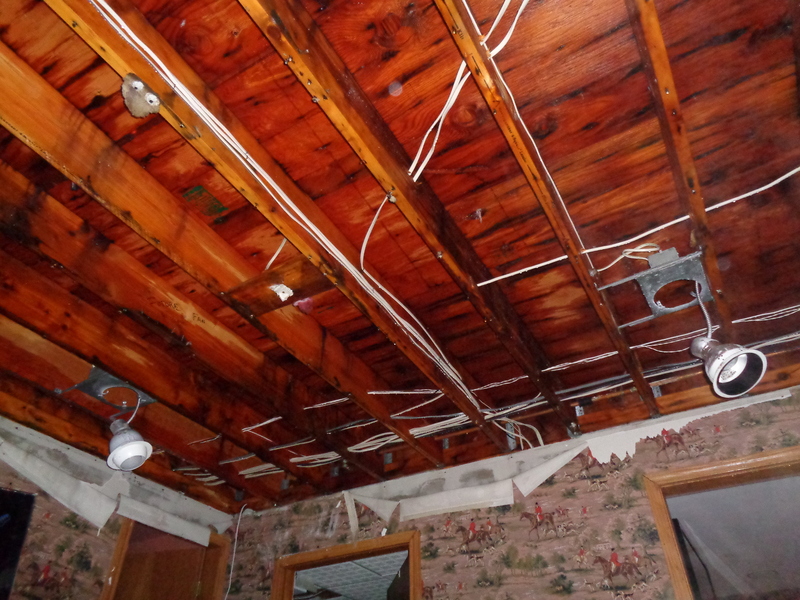 Not only is this a project but the builder put up the drywall ceiling, then put split logs for beams that attach themselves in such a way that you can’t get the wet sheetrock from under the beam. 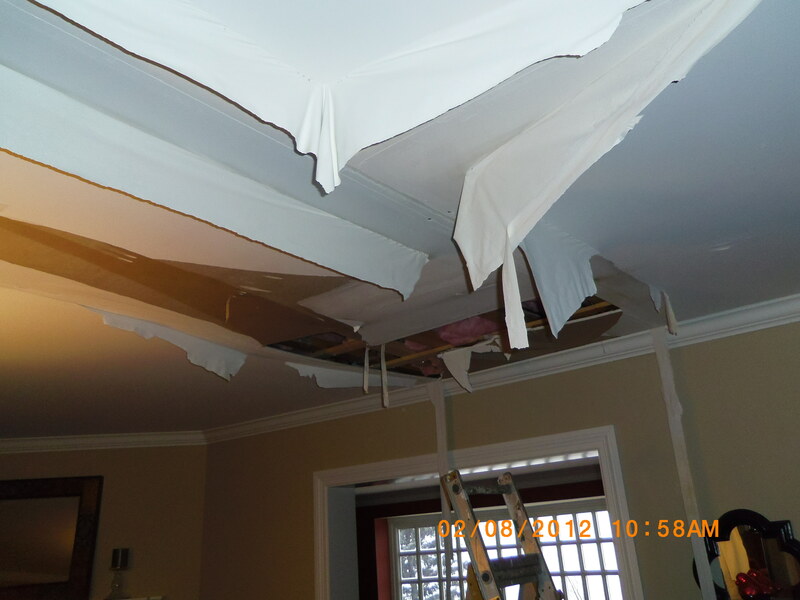 I don’t know how they will get new drywall ceilings under the beams to install. This will be a challenging job.